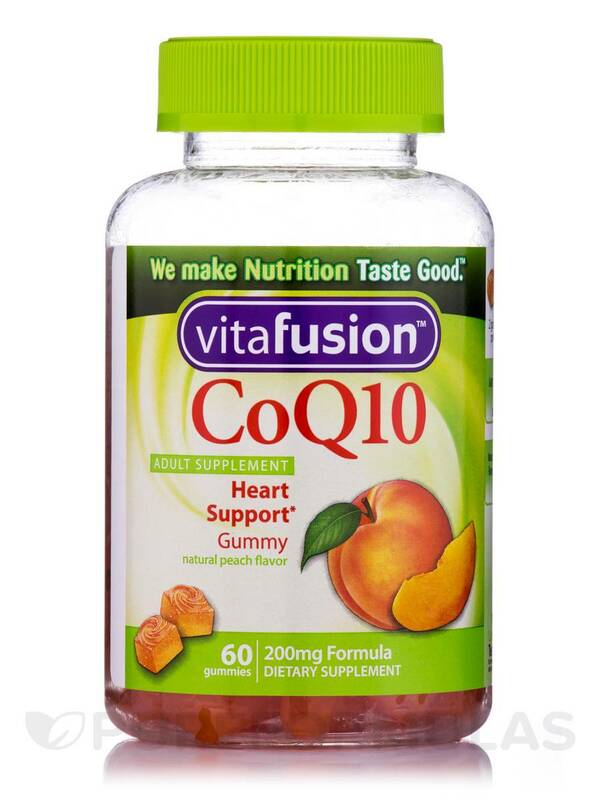 Support heart healthy living and fight free radical damage to the cells of your body with Vitafusion™ CoQ10 – 60 Gummies from Vitafusion™. 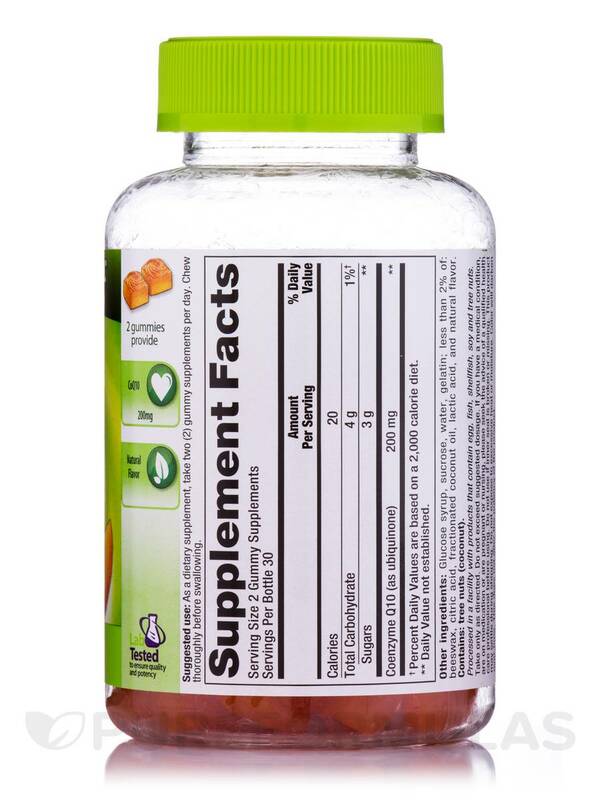 This dietary supplement may also promote your cardiovascular wellness and boost energy levels. Studies reveal that coenzyme Q-10 or ubiquinone is a compound present in the mitochondria of cells inside the human body. 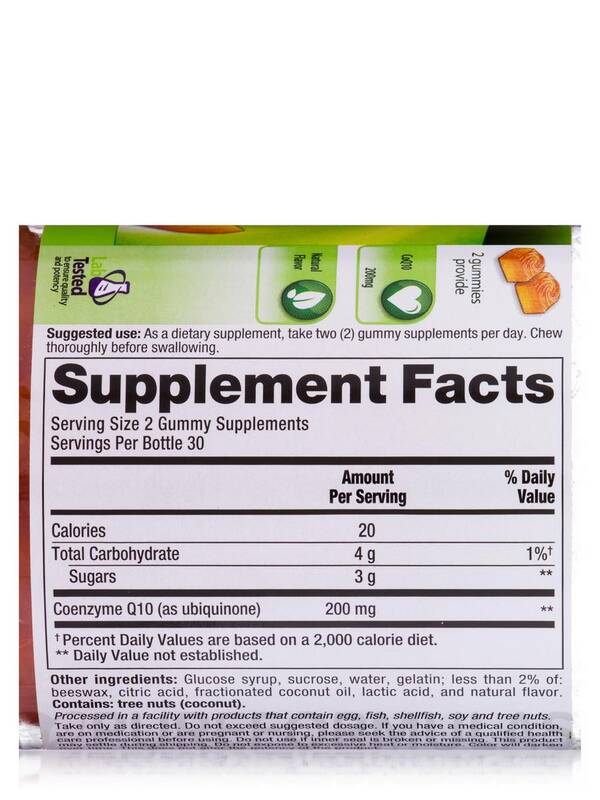 It helps your body produce energy for cell growth and maintenance. 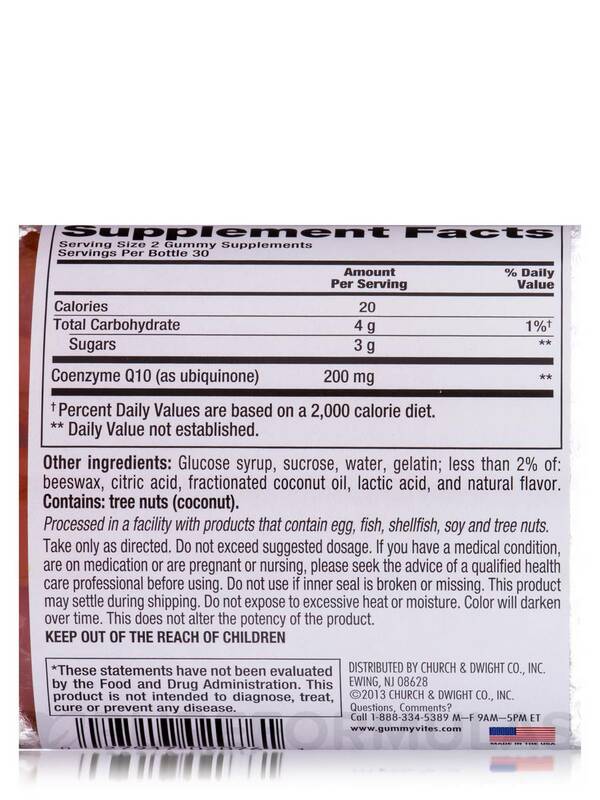 CoQ10 may also improve your body’s defenses‚ reduce oxidative stress‚ and fight signs of aging. 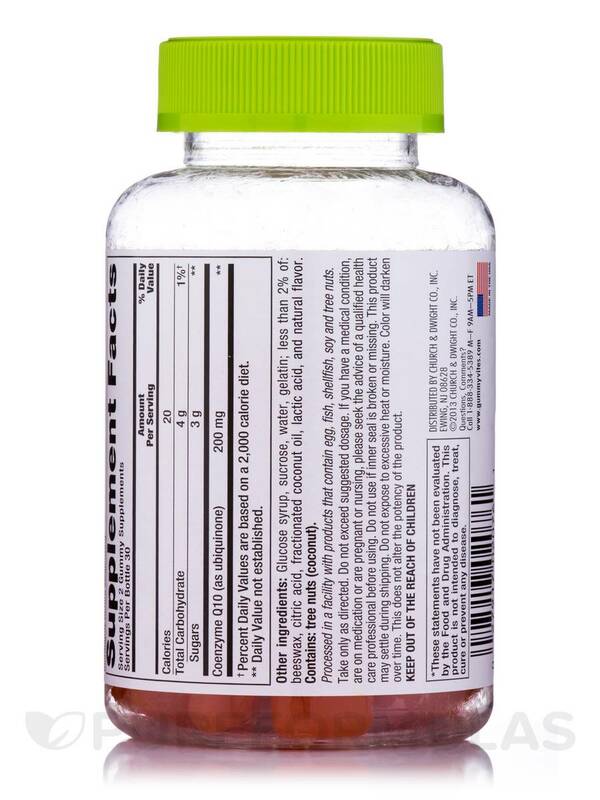 Reports suggest that coenzyme Q-10 is concentrated particularly in some organs of your body such as liver‚ heart‚ pancreas‚ kidneys‚ and muscles as these organs use more energy to function properly. 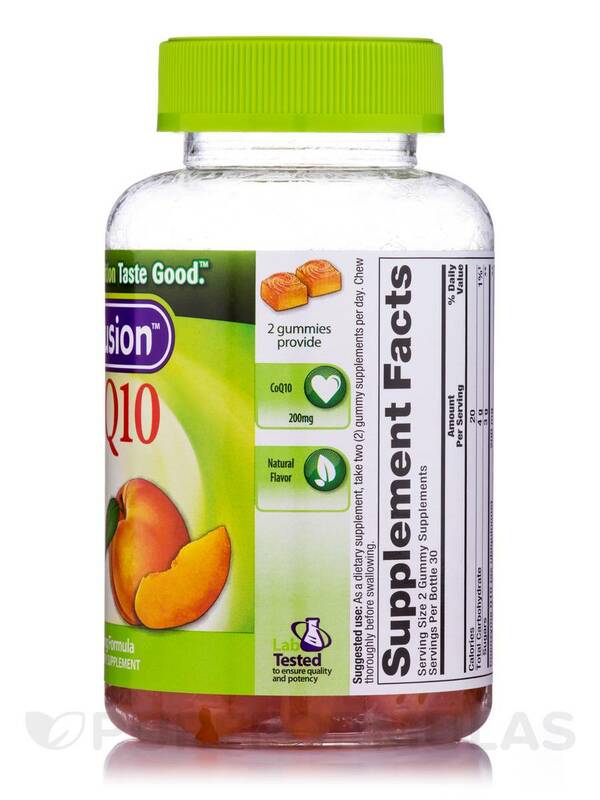 CoQ10 in this dietary supplement from Vitafusion™ could potentially alleviate blood sugar levels‚ support certain facets of heart health‚ and reduce the risk of fatty liver condition too. 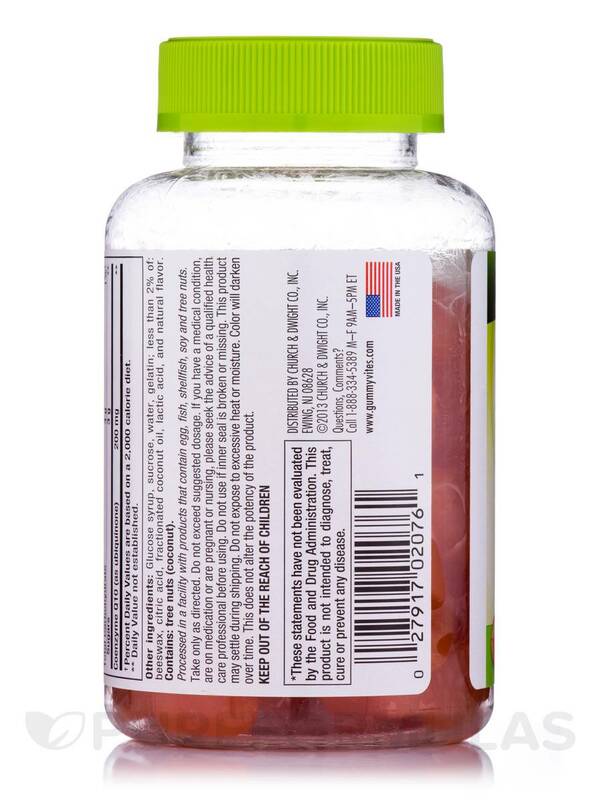 Make Vitafusion™ CoQ10 – 60 Gummies from Vitafusion™ a part of your diet and it may increase stamina‚ relieve headache and muscle pain‚ and promote longevity. 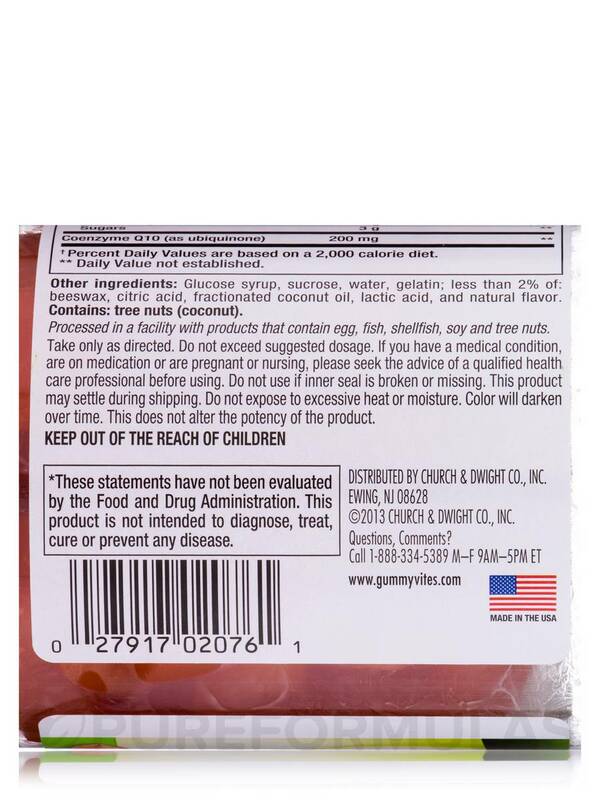 Other Ingredients: Glucose syrup‚ sucrose‚ water‚ gelatin‚ less than 2% of beeswax‚ natural flavor‚ citric acid‚ lactic acid and fractionated coconut oil.